If you would like to have your entries displayed at Gallery Night on January 17th, please provide 2 physical copies of your creative work for print entries. For your convenience, AAF Tampa Bay is providing 14 x 18 manila envelopes at no charge to you. To request envelopes, please email the quantity needed and the delivery address with any special delivery instructions to sarah@aaf-tampabay.org. Please note that you will not need envelopes for digital and electronic entries. C2 (Core Creative): The C2 (Core Creative) advertising competition is exclusively for internal marketing and advertising departments in companies in the Tampa Bay area. Entries are eligible for submission only in the work was done by and in-house marketing, design, creative or advertising group. 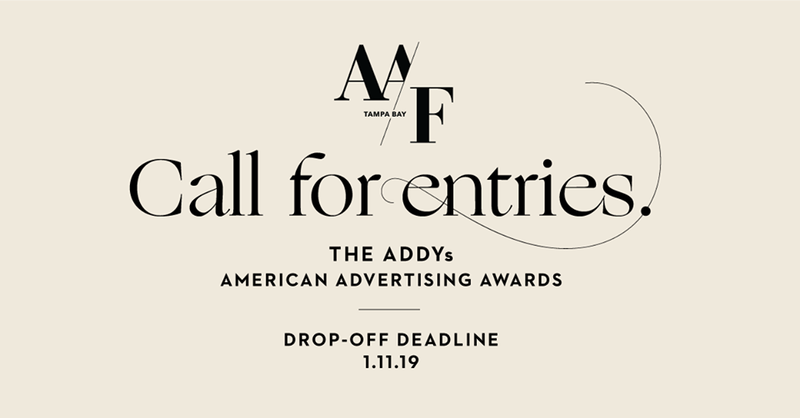 Entrants have the choice of entering in the National American Advertising Awards competition, the local competition or both. Tucker: These categories pay homage to the brilliant ideas that never saw the light of day. If you had a client who didn’t recognize the brilliance of your work and decided to go with a different concept, this is an opportunity to dust off your poor rejected work and give it the recognition it deserves. . Step 1: Complete and print the online entry form for each entry. Step 2: Complete the manifest and pay for the entries. Step 4: Drop off entries at the drop off locations listed above.